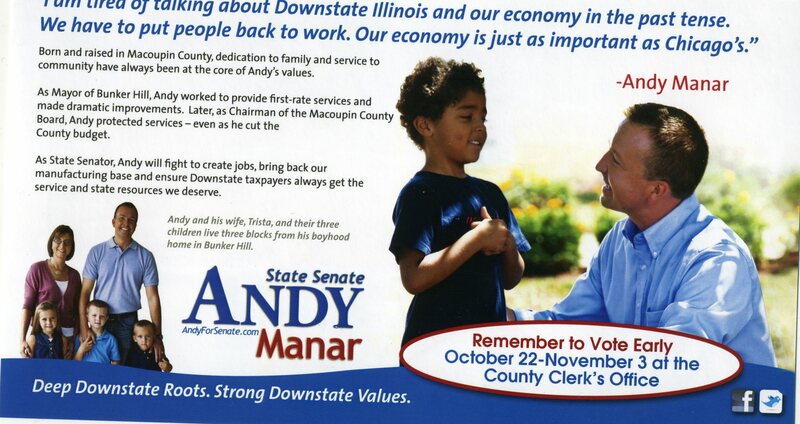 The contributor was a paid field organizer for the campaign in Sangamon County and Christian County. 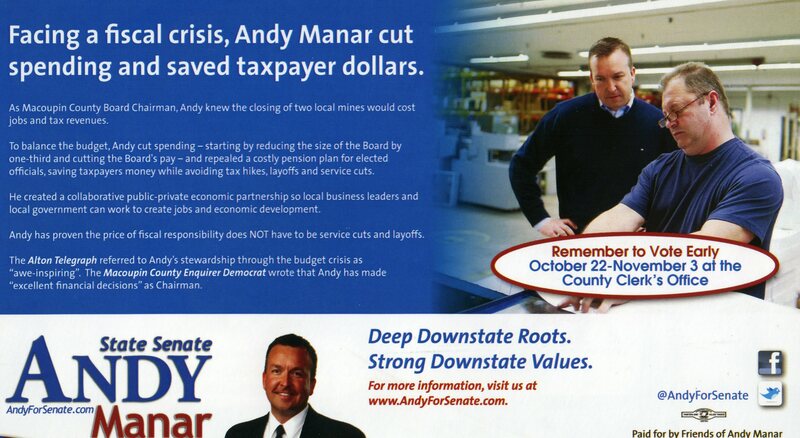 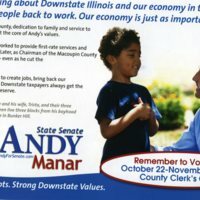 Flyer used in 2012 State Senate election to advertise Andy Manar, the Democratic candidate. 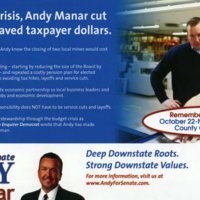 “Flyer for Andy Manar as State Senator,” UIS History Harvest, accessed April 18, 2019, http://uishistharv1.uis.edu/items/show/12.